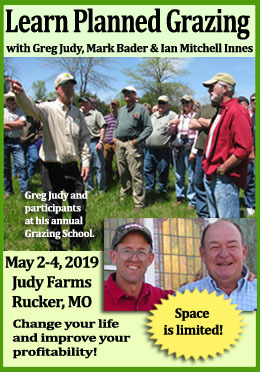 If you have bedstraw on your farm or ranch, lucky you! 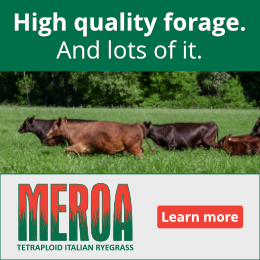 According to forage analysis done by the Vermont Pasture Management Outreach program, protein values for this plant were around 19%. That means we should quit thinking of it as a weed, and instead look at it as a very palatable that is good for your livestock. Nobody wants an entire pasture made up of just one forage. So even though bedstraw is a great food, you want to graze it in a way that will let it complement the rest of your forages. Our suggestion: take advantage of your bedstraw! Perhaps this summer you can enjoy a cool glass of bedstraw liquor with some bedstraw assisted cheese, while watching your livestock graze it! 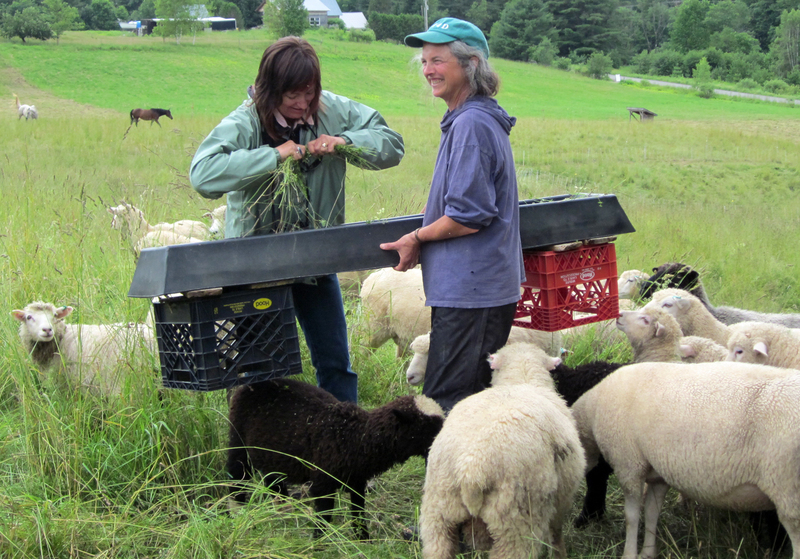 When we moved to our current farm in the Adirondacks of NY 4 years ago, our pastures were easily over 50% bedstraw. Didn’t know what it was at the time, and coincidentally had it identified at a grazing talk with Kathy that was being held in our area. Four years later, after intense rotational grazing and one frost-seeding of clover, the grasses have expanded exponentially along with red clover, but the bedstraw persists, but that’s not a bad thing really. Its somewhat dense habit helps fill in the gaps left by the grasses and provide more cover/forage, and in the poorer, sandier areas where the grass and clover still hasn’t made a good foothold, the bedstraw again helps fill in. Do you know what bedstraw is symptomatic of? E.g. does it just establish itself when there’s low pressure from grass, or lack of mowing or grazing? Does it take to lower pH soils than grass or clover like? Thanks for this article. 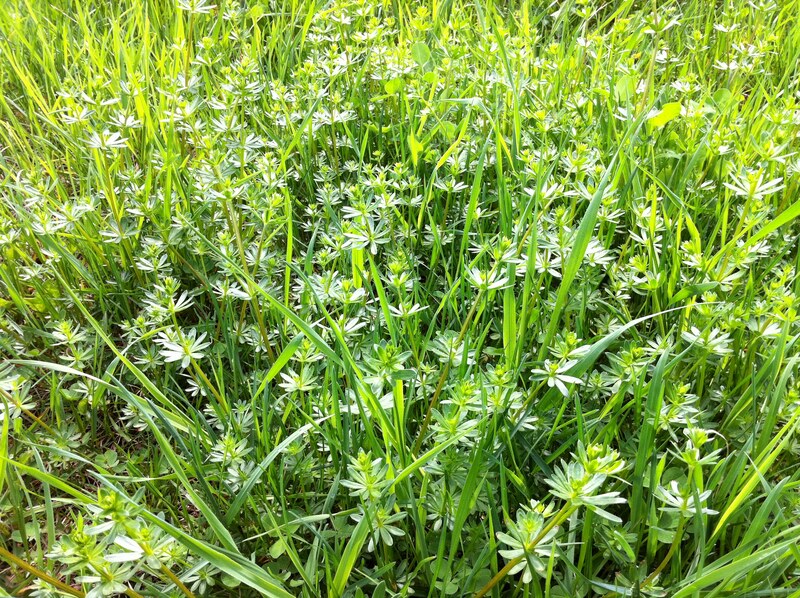 Our forage testing of bedstraw in WV and NY supports your observations. Bedstraw has nutritional value similar to the grass in the pasture. 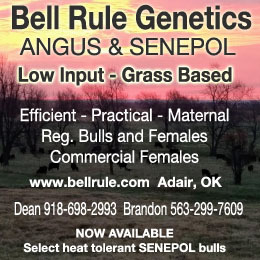 Rotational grazing is often the only training needed to teach cattle to eat bedstraw. My cattle like bedstraw in early bloom when the flowers smell like clover. Thank you for your efforts to let producers know that many “weeds” are high quality forage in disguise.